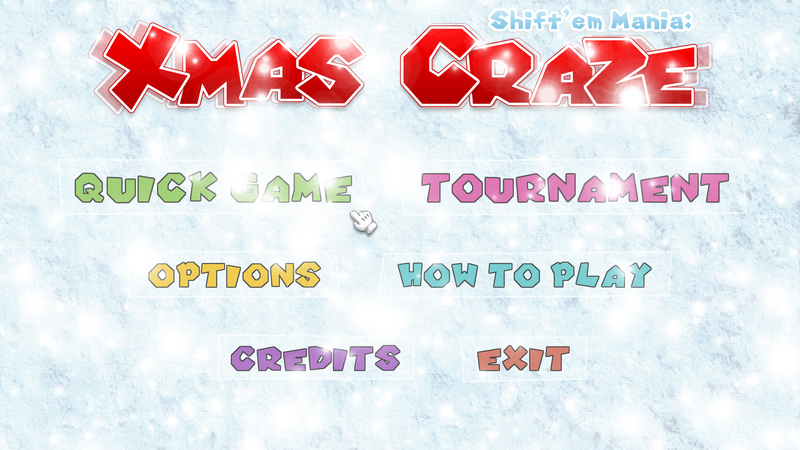 Xmas Craze is a special Christmas-themed edition of the tactical puzzle game Shift'em Mania which features procedural generated levels where you play against AI or another Human via local multiplayer mode. 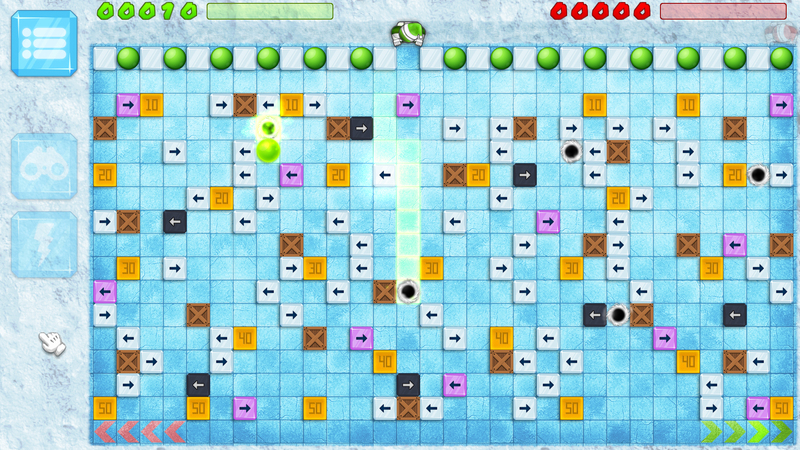 Game graphics and music were completely redesigned in order to create a very bright and festive Christmas mood. 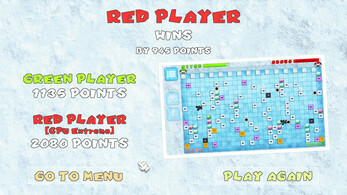 Game objective is to get player's color balls to the bottom of a maze. 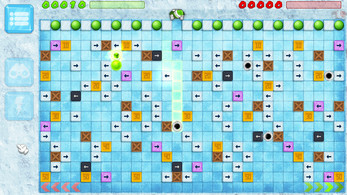 Well, it's not quite as simple as it looks like as the levels are filled with various obstacles, such as ramps, walls and portals which will affect the movement of the ball. 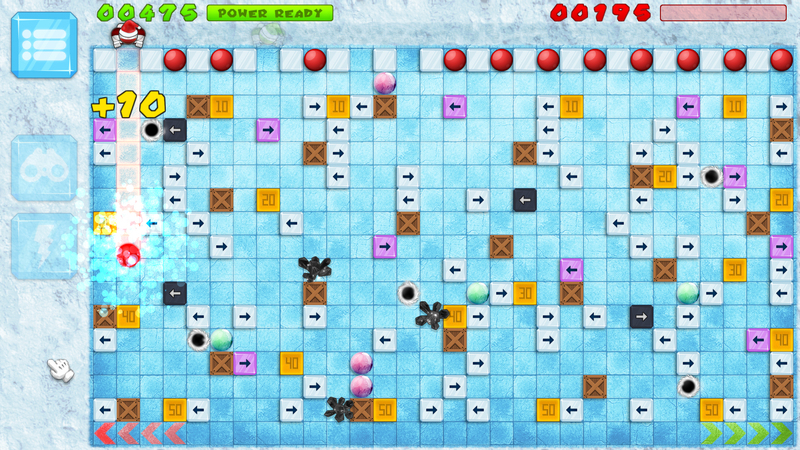 Think thoroughly before making each move in order to get the ball further down and achieve the highest possible score. 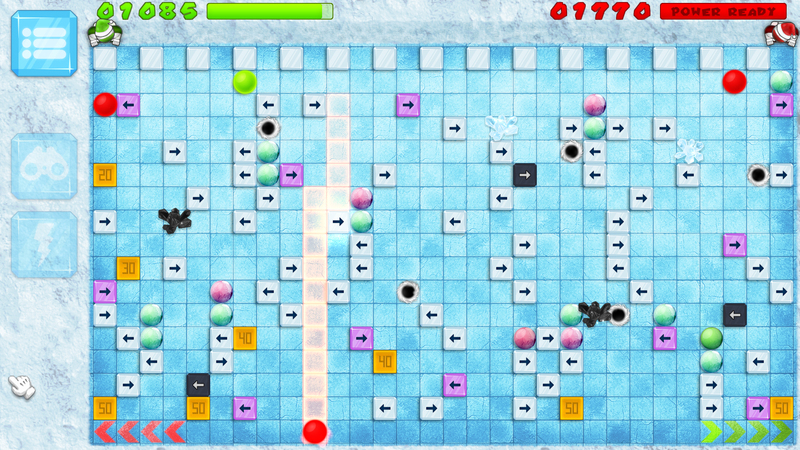 Block your opponent by pushing your color balls into strategic positions to stop him from doing the same to you. Use walls to your advantage and collect bonus score. 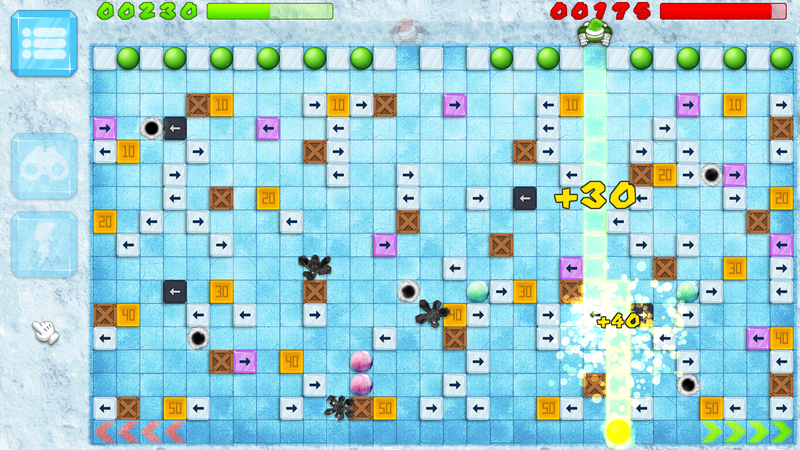 Accumulate Megapower bonus and destroy the obstacles. There are several levels of difficulty when you play against the computer. "Easy" and "Normal" difficulty levels are great for children and beginner players, but if you are self confident try to beat computer player at "Hard" or "Extreme" levels of difficulty as there will be hardly any space for a mistake. 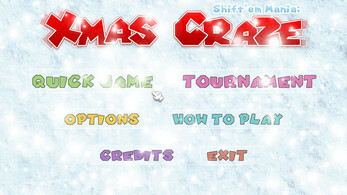 Xmas Craze game has been updated!